- There are two aspects to our Christian lives, one outward and one inward. - Firstly we need to be aware of others who are struggling, and help them. - Then we need to watch our hearts, so that we are not infected by the world. - With clean hearts and generous spirits we can live lives that honour the Lord. Prayer: Lord, It is my desire to be an instrument in Your hand. May I be a blessing to those around me in need, and may my heart be kept pure and undefiled , so that You can use me. Amen. - ‘Storms of life’ are an inevitable part of our human existence. - When the storms come, they have the potential to whirl us away. 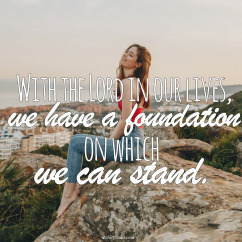 - With the Lord in our lives, we have a foundation on which we can stand. - Stand secure on your foundation, you will be kept safe and secure. - We all want to build our lives in a way that leaves a lasting effect. - None of us wants to live lives that are wasted. - The key is to take God’s Word and apply it to our lives. - When we do this we are acting with wisdom, like wise men and women. Prayer: Lord, I choose to build my life with wisdom and guidance from You. 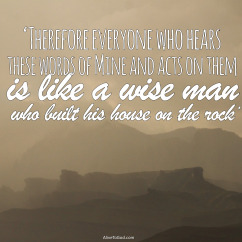 I want to be a wise person who builds my house (life) on the Rock! Amen. - Listening to what the Lord says is only one step in the process. - If we listen, and it does not result in action, we are stepping into deception. - The moment we listen, hear, and apply it to our lives, something shifts. - As a result of this shift we can move into the Lord’s plans for our lives. Prayer: Lord, may I not be someone who will just listen to Your words and not apply them to my life. 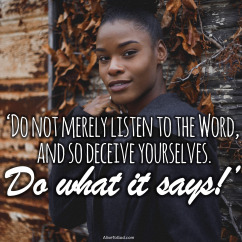 Help me to be a doer of Your word and help me to apply Your word to my life so that I can be all that You intended for me to be. Amen. - Turning to God is a great privilege we all can take advantage of. - He has ‘times of refreshing’ in store for you. - Why settle for barrenness when you can enjoy times of refreshing. - So don’t let anything get in the way of God’s blessing for you. Prayer: Lord, forgive me for those things that I have done that have displeased you. I want to enjoy the ‘times of refreshing’ that You have prepared for me. Amen. 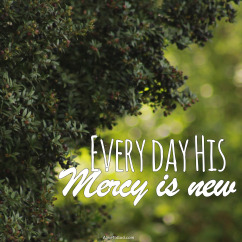 - Every day His mercy is new and you and I can begin again. - Each day we can come to Him for forgiveness and help. - His love is unfailing and that means He will not fail you. 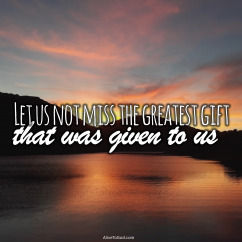 - Receive His mercy and His grace today. Prayer: Lord, have mercy on me, because of Your unfailing love. Blot out the stain of my sins because of Your great compassion. Amen. - The Ark of the Covenant represented the presence of God to the nation of Israel. - They knew that without His presence in their lives they were lost. - They did everything in their power to make sure His presence was with them. 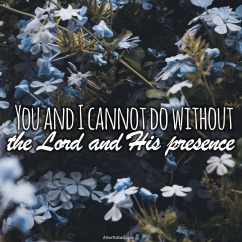 - You and I cannot do without the Lord and His presence in our daily lives. Prayer: Lord, I recognise that I need You and Your presence in my life. With You in my life I can walk in victory and I can overcome any obstacle that may come my way. Amen. - You can be a source of light and hope to those around you. 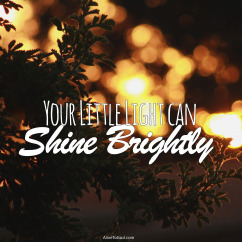 - Your little light can shine brightly. - No amount of darkness can snuff out the light of a single candle. - So shine on and bring light into the world around you. 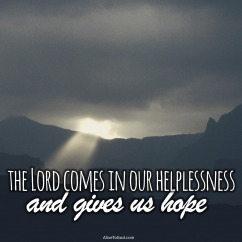 Prayer: Lord, may my light so shine that others will know that You are my LORD and may I be a source of hope and strength to others. Amen. - Circumstances and situations can get us down and discouraged. - But there comes a time where we must arise above the situation. 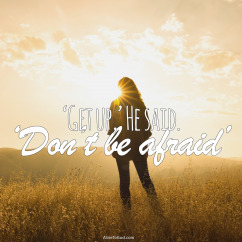 - The Lord wants us to arise and ‘get up’ and take on His plan for us. - Let us step forward with boldness and courage and rise to the occasion. Prayer: Lord, I choose to arise from the depression and prostration in which circumstances have kept me. I choose to rise to a new life! May I shine and be radiant with your glory on my life. Amen.